Through the choices we make, each of us has the ability to reinvent our life and determine our future. 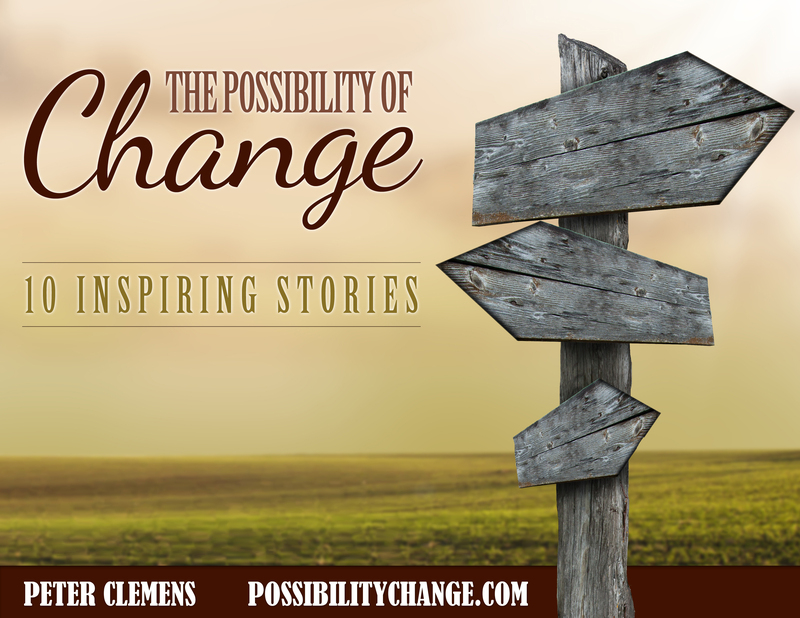 The Possibility of Change features ten stories written by real people who made a choice to change their life. When you finish this book, you may not yet know what changes to make in your life, and that’s OK – it can take time to work things out. The important thing is to recognize you have the power to determine your future. You can change.